For many people getting an extension can be stressful. Everybody wants their dream home and we are here to provide you with key tips/pieces of advice to eliminate stress from your life. 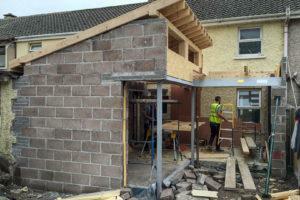 Here are 3 tips for building a house extension. Questions are the most important stage of an extension process. What kind of extension do I want to get? Where do I get it done in my house? Who do I contact to make the extension? 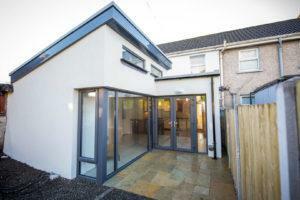 These are all questions one must ask prior to going ahead with a house extension. A great design solution does not start with an amazing designer. It starts with questions, it’s is all about what you want and think not just about the designer or architect. In the beginning, you are probably approaching the process on your own. You’re ringing someone to take it to the next stage because it’s just you and the surroundings of your home with ideas in your head and no idea what to do with them. Write out every question you can possibly think of, and try to answer them. Show them to your family and close friends and get their input. Ask yourself practical and non-practical questions, identify your priorities. Try to identify the potential you think it would have and the limitations also it may have. Think about changes in your situation since you moved in and think about possible changes down the line. Start with a no-holds-barred approach to your brainstorming session and then continuously critique the list to identify the main priorities and results of your house extension brainstorming session. This is the start of your design brief. You won’t get the right answers unless you ask the right questions. This preparation is key to a successful project. If you are happy to go ahead with a house extension then you need to figure out if you need planning permission or not to make the proposed extension a reality. To do this you will need to get in contact with your local county council or your architect to get their expert knowledge. Lots of extensions don’t need planning permission if the extension is to the rear of the property and under a certain size etc, but even so, you should check with both expert parties. Planning permission does add some extra expense, it does take time to for an application process to be successful. You should put the long-term benefit ahead of the short-term one just to save time and money. An example of this would be a house having some extra room at the side. An exempt extension could be built behind the house, but using hat room at the side of the house instead (may require an application or thorough investigation) could preserve light in the house, could give a better designed layout, and could mean the extension you build doesn’t need to be so big which might save you money. The key is to look & investigate before you leap into anything. Keeping an open mind and putting in a bit of effort at the start will pay dividends in the long run. When planning on getting a house extension, It’s a great idea to tell your neighbours that you’re planning on an extension and tell them exactly what you’re planning.They will appreciate you going to them in advance about this and getting their opinion on it. It can be hugely beneficial and reduce the number of complaints/issues that may arise regarding complaints and objections. If they are going to object to your plans, it’s best to establish what their complaints will be so you can address them at this early stage. It is better for you to be prepared and have a plan in place to hopefully deal with these complaints than getting completely blindsided and being unprepared. For example, your neighbours may have issues regarding privacy or be concerned about the possibility of a reduction of light to part of their house. Our advice is to approach your surrounding neighbours prior to execution of your extension plans and talk with them about it and see if there is anything alarming that could cause problems or delays. If you want to take the stress out of building a house extension then be sure to ask yourself plenty of questions before beginning, research whether or not you need planning permission and talk to your neighbours to avoid being denied planning permission or developing a frosty relationship down the line. If you would like to learn more or to book a consultation then visit us online or contact us on 021-436-5866.